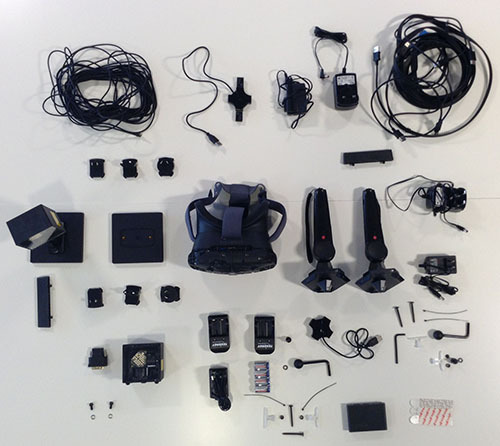 Our HTC Vive devkit arrived the other day. Really looking forward to doing some more VR experiments with the motion controllers. There are some challenging difficulties with VR not least player locomotion. We've already seen lots of different methods from typical game pad walking to blink teleporting none of which really meet our requirements for comfort and immersion. I think someone at Steam thought the game looked good because the last time I checked we were in the 75% range. Good news for us! Now we just need to fill in some forms and look at adding steam works to the game. Look forward to playing the game on Steam! As you can see we had a massive surge at the start with 1000 votes in the first day but now that we've dropped off the front page on the new greenlights list, votes have slowed down. 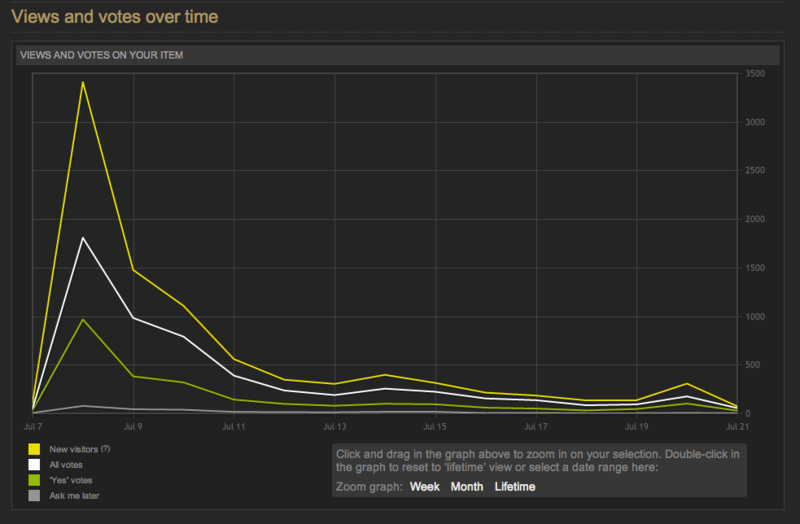 We get the occasional bump from social media but we've not had any press coverage from gaming sites so we've not had any big spikes. Hopefully when we release the alpha we'll get another surge.